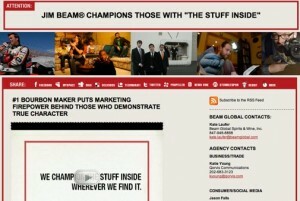 Since it’s invention by Todd Defren at Shift Communications in 2006, the social media press release has taken root. Combining short paragraphs and bullet points with Web-friendly links, tags, and multi-media content, the SM release aims to give reporters and bloggers the key ingredients for a story in an immediately scannable and digestible fashion. 1. The emerging use of multi-media content due to increasing bandwidth and ease of content creation. 2. The increasing emphasis on search engine optimization of media releases. After all, isn’t Google just the world’s most powerful reporter? 3. Email has created a deluge of pitches and writers can’t read 1,000 narrative pitches per day. The social media release format enables them to skin and assess what’s newsworthy. The hang-up with social media releases has been actually getting them built. Most PR folks are not Web programmers, and the very nature of what makes a social media release useful (tags, links, multi-media) makes it tricky to execute if your definition of high tech is inserting a footer in Microsoft Word. 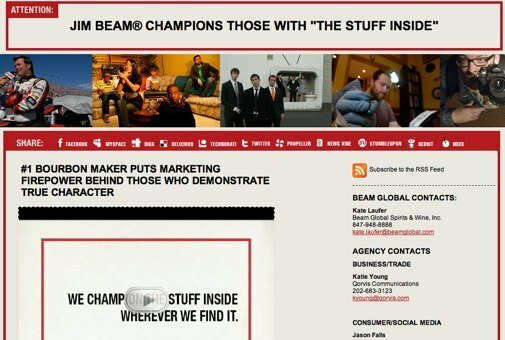 Historically, the best social media releases have essentially been customized landing pages, like this genius effort for Jim Beam from Jason Fall at Doe Anderson and Jason Swartz at PSB. So, unless you have a Jim Beam budget and a Web programmer hanging around, making a killer SM release has been tricky, despite efforts from PRXBuilder (WordPress and Microsoft Word plug-in) to make it easier. (note, I use PRXBuilder’s SimpleSMPR on this blog). Newly launched – still in Alpha release – PitchEngine is out to change all that. Their slick, exceptionally easy online social media release creation engine is by far the best I’ve seen. Literally, if I took the time to explain what a “tag” was to my 9 year-old, she could make a release (it would probably be about ice skating or the dresses on The Titanic). – Add your boilerplate info, logo, contact info (don’t forget your Twitter account)! DONE! Click a button and you have a beautifully formatted, all linked up social media release ready for distribution. In addition to enabling you to create your social media release, PitchEngine lets you easily distribute it too, by typing in whom you want to send it to (via email, Twitter, FriendFeed, Facebook). 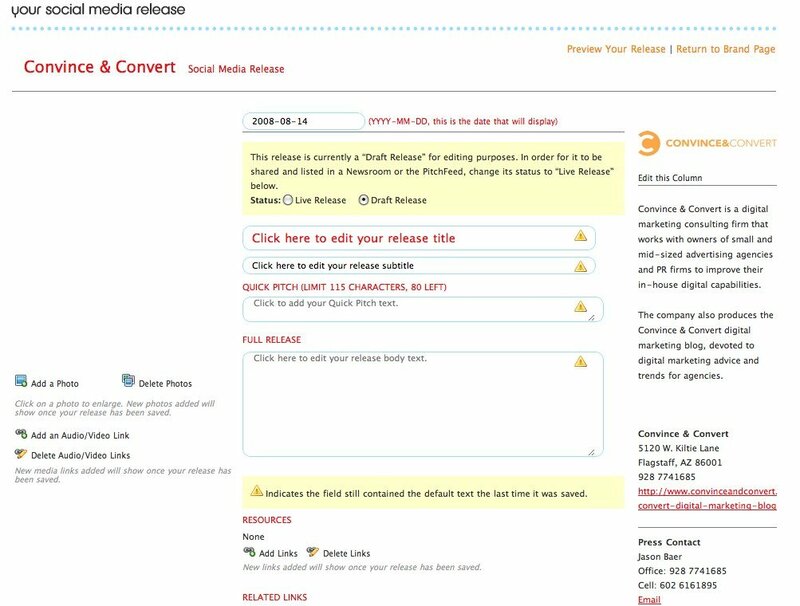 All releases created in the system automatically appear in the PitchFeed, a stream of current pitches that can be accessed by reporters and bloggers on site or via RSS. For now, PitchEngine is 100% free, which is of course a ridiculously good deal. I suspect they’ll be going to a Freemium model at some point, with advanced features costing a few dollars here and there. For all PR firms and client-side PR 2.0 and social media managers, PitchEngine is the new social media release champion, and an indispensable tool in the new media arsenal. Check it out.